Hey JT, enjoyed meeting you today. Looks like you have some work to do on that warwagon. I think all the guys in the club enjoyed your visit and talking with you. Ill be looking forward to talking and working and trail riding with you. Yeah, like everything else, more ideas than money and time! Looks good, always good to see another red Cherokee, LOL. Look up Jeeping Mid Rivers on facebook, there are some events you may be interested in joining in on, lots of open events for nonclub members or membership is free if you would like to join. Maybe see you around, Tony. Nice rig man! 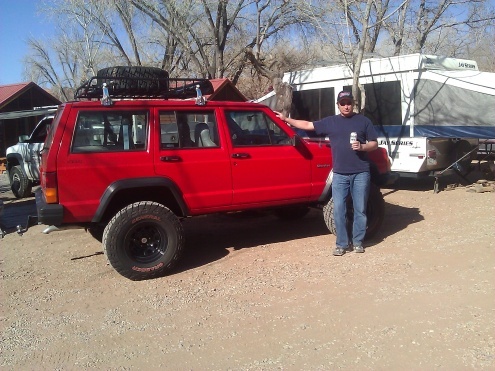 Yeah, have a special place in my heart for red jeeps, mine was originally red! Thanks, I'll check out the Mid-River club. Gonna head to Potawatomi this afternoon, camp tonight, and wheel tomorrow... join up if you're interested! 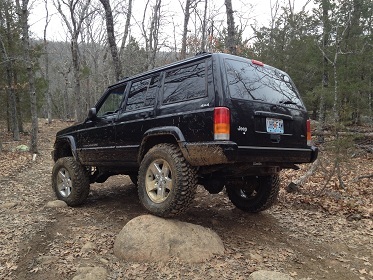 Hey guys, from the IL side of the river up in Pike Co. Just got my XJ and looking to do a little trailing if anyone is open to it. I may also be getting a few places to go soon so we could always share trails. Yeah, I didn't notice your wave, probably because of your tint. I work right off N & LSL Blvd. Earlier this week I noticed two guys in a truck towing a 96-pre XJ coming from that way. That might have been me.... busted both front axle shafts, both right ball joints, and my entire steering linkage assembly out at Potawotmi this weekend.... it was fun, but had to tow her back.... ugh! I checked out your build thread. As I see it now I'm sure I'll recognize it on/off the road. I went to Lost Creek Road in Warrenton Sunday afternoon. Seen some guy in a blue 97+ XJ. I guess he was taking a Sunday drive with his family. Didn't think to ask if he got on here. There was quite a bit of traffic there. I pulled a couple out of the sand...2wd Colorado. Lost Creek Road... is that an ORV area, or just someplace local guys go? Im in brentwood. Whats up all! 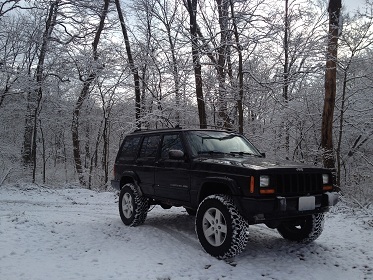 I have added a Detours front bumper and a Warn VR800-S winch since the photos were taken. checking in from alton il.